When looking for a new car, it’s always a good idea to go through reviews for all the models you’re interested in to learn about what they have to offer. 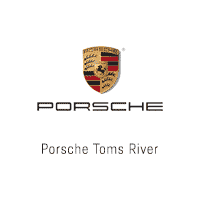 That’s why we at Porsche Toms River have created this helpful page for drivers in the Toms River, Brick, and Freehold areas to have easy access to all the reviews they need. Here we have compiled a library of free and helpful reviews from trusted sources. With this, drivers can have easy access to reliable information when shopping for their next vehicle. If you want to know what a vehicle is capable of as quickly as possible, you want to read a review. Here are some examples of what you can learn by reading our reviews. By reading vehicle reviews, you are able to learn about the available engine options of each car you’re considering. It’s important to take note of the horsepower and torque to get an idea of how the vehicle will feel in terms of top speed and acceleration. It’s also important to consider vehicles with more eco-friendly engines. Pay attention to the MPG of every vehicle you look at; a high MPG and a high horsepower and torque mean a vehicle that is both fun and efficient. Active safety features are becoming more and more advanced, and if you want to drive vehicles with the newest technology, you need to check some reviews. Many cars may offer available safety features, but not many vehicles will offer them standard across all trims. It’s always good to consider what active safety features are offered in the base trim as a good baseline for a vehicle. Whenever you’re ready to start researching, just click on a link for a model you’re interested in. 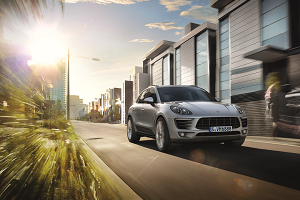 We at Porsche Toms River hope that this resource will help drivers in the Toms River, Brick, and Freehold areas have an easier time researching the car they are interested in. And if you want more information on a vehicle, the team at our dealership is always eager to help. Call us and ask about any car you’re interested in and we can have a conversation about what makes that model great.